Have you used your teeth today? You might not pay attention to how important your teeth actually are. Your teeth do so many things for you—they allow you to eat with ease, enhance your overall appearance, and they even help you speak properly. So when you think about it, it’s no mystery as to why people would want to keep their teeth for life. Are you doing what you should be doing now to ensure the health of your smile for years to come? Well, keep on reading because we’ve got expert advice from Dr. James Powell to help your smile last for a lifetime. It’s probably pretty obvious that good oral hygiene is incredibly important for the health of your smile. Which is why good home routines are a must! You should brush your teeth at least twice a day and for no less than two minutes. If you’re able to brush after each meal, that’s even better! The sooner you can remove plaque, food, and other substances from your teeth, the less likely you are to develop decay. Since we’re talking about toothbrushes, you need to change your toothbrush every 3-4 months—and right after being sick. Yucky bacteria accumulates, and worn out bristles don’t clean as well. If you’re a lover of the one-handed flossers like many of our patients are, just clean the flosser after you floss each section. When it comes to both brushing and flossing, do it with a plan. Many of us multi-task when brushing or flossing. Unfortunately, that might make us a little less strategic and cause us to miss places. So pay attention and plan your brushing path. A tongue scraper can also be used to remove bacteria and help prevent bad breath. You just don’t want to use your toothbrush on your tongue! In addition to properly brushing and flossing, using the proper tools at home can have a bigger impact then you might realize. Electric toothbrushes give you a better chance at accomplishing what you need to. 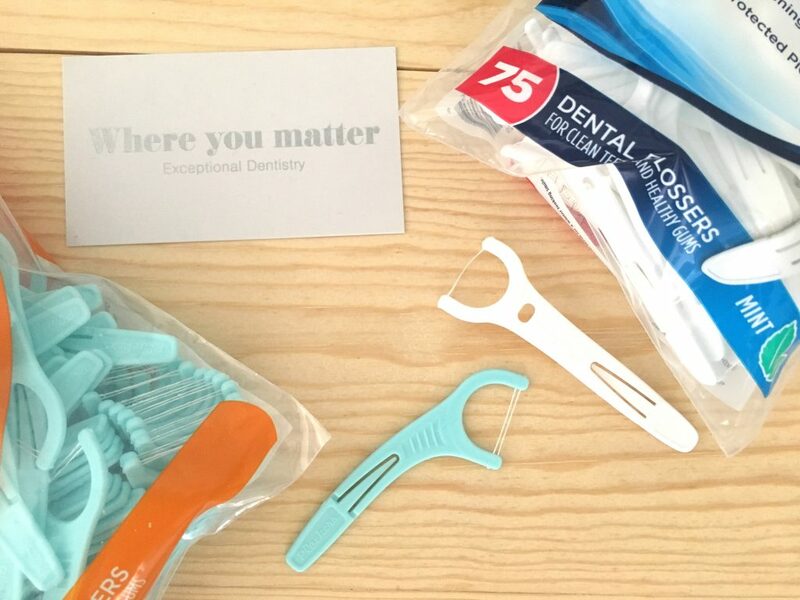 They can help reduce chances of damaging your gums (a cause of recession), they ensure that you are brushing for 2 minutes with the built-in timer, and can remove biofilm (bad bacteria). Electric toothbrushes typically give you 30,000 strokes per minute, while a manual toothbrush does about 200 strokes per minute—now that’s a worthwhile investment! While there are plenty of decent electric toothbrushes, Dr. Powell recommends the use of a Sonicare toothbrush. We’ve seen a noticeable difference in the health of our patient’s mouths when they use a Sonicare. In some cases, a person can be proficient with a manual toothbrush. If that is you, then you want to opt for a soft-bristled toothbrush. Hard-bristled toothbrushes can cause gum recession, and even damage the enamel of your teeth. Another wonderful tool that you can (and should) use at home is a HydroFloss (an oral irrigation tool). The HydroFloss combines hydro-magnetics to help stop bacteria from adhering to the surface of the teeth, and flushes food and bacteria from between the teeth and hard-to-reach areas. This is a great tool to be used in conjunction with brushing and flossing as a way to help improve your oral health. Dr. Powell regularly recommends this tool for patients with inflamed or bleeding gums, deeper periodontal pockets, crowns and dental bridges, implants, veneers, or orthodontic appliances—obviously, there are many people who can benefit from using one of these babies. While most dental products aren’t going to cause any major problems (at least not immediately), using the right ones will only help. You want to use a toothpaste with fluoride. And if you have sensitive teeth, then you should be using a prescription toothpaste—why not make things more comfortable for yourself? 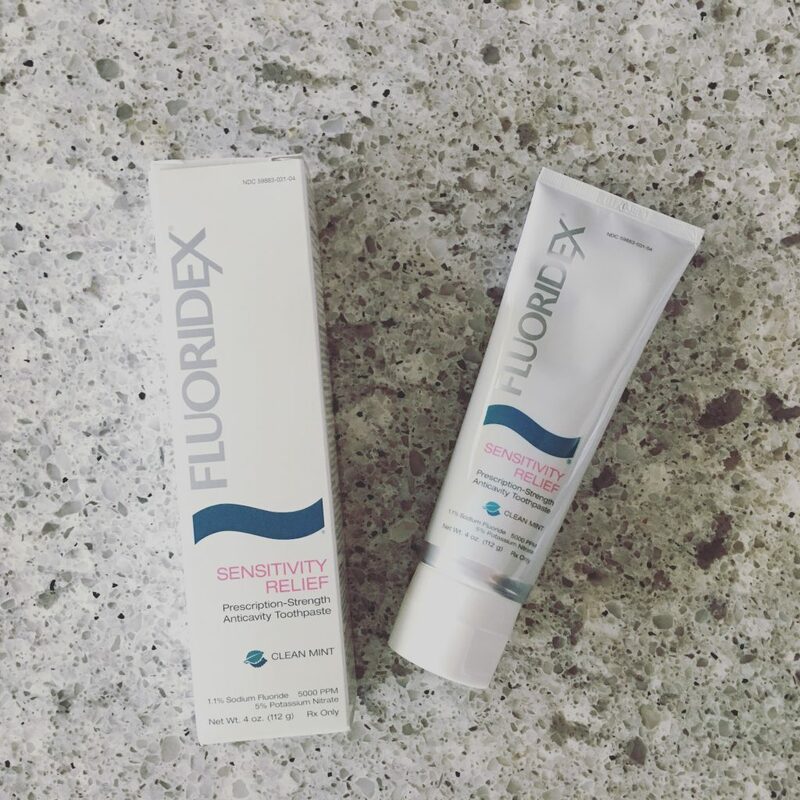 Fluoridex toothpaste is what we recommend for our patients. It’s great for sensitivity relief and is anti-cavity. Dr. Powell says that mouthwash isn’t necessary. However, if you really want to use one then just choose one without alcohol. Alright, now you know how impactful a good at-home oral hygiene routine with the proper tools and products can be—but do you know what foods are helpful or harmful to your teeth? 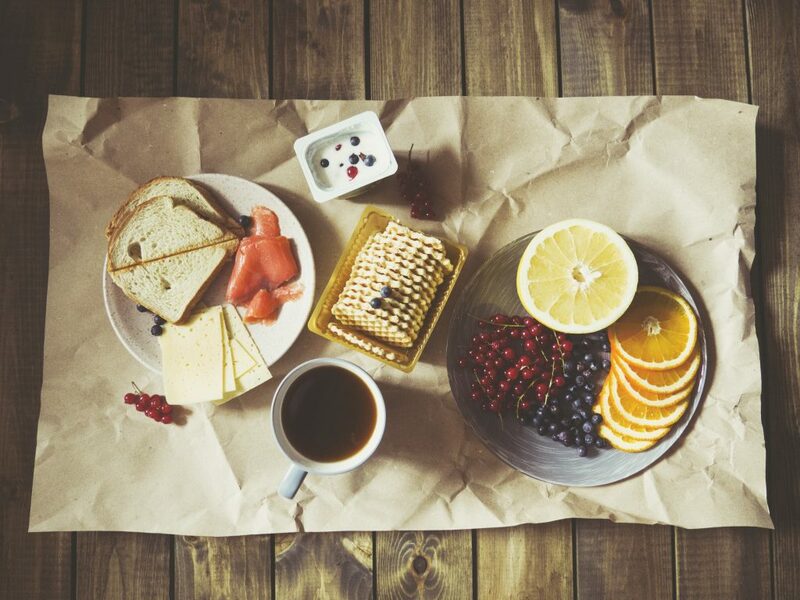 Healthy foods like whole grains, dark green and orange vegetables, and fruits have folic acid as well as a lot of important vitamins for your teeth and gums. Fish, nuts, and seeds are sources of protein that are good for your smile. Avoid sugary foods like candy, cookies, cakes, soda, and bananas, as the sugars can be converted into cavity-causing acids in the mouth. You should also avoid acidic foods like lemons, as they can destroy your tooth enamel, or consider opting for acid-reducing food like cheese. We know that avoiding some food is darn near impossible and eventually, we all get a little sweet tooth—just remember to brush right after when avoidance isn’t going to happen. Aside from what you’re eating, you also need to consider your lifestyle habits. If you’re planning on keeping your teeth for a while (we hope you are! ), then you’re going to need to avoid bad oral habits. For starters, don’t put non-food items in your mouth. Chewing on things like pens and your nails can wear down your teeth or crack and chip them. Even chewing on hard things, like ice, can cause issues like chipped teeth or injured gums. Lastly, and this probably goes without saying, but smoking and tobacco use are not conducive to good oral health. They increase your risk of oral cancer and are a significant risk factor associated with periodontal disease. We hope you’ve boarded the preventative boat because being proactive in your health is an easy way to ensure you get to keep your pearly whites for life. For the health of your smile, visit Exceptional Dentistry at least twice a year for your routine dental cleaning and exam. If you’ve already been diagnosed with periodontal disease, then you need to be seen more regularly—typically three to four times a year. These visits are super important because you are going to have buildup that can only be removed by a dental professional. Additionally, our dentist will examine all of your teeth and your gums for any issues and potential issues. With the use of digital X-rays (a great preventative tool), we’ll be able to catch and treat dental problems early on. So don’t skip those necessary X-rays! Our SoProLife Early Cavity Detection Cameras are part of your annual exam. Sealants are a great option for adults and children to add an extra layer of protection against tooth decay. In-Office Anti-Cavity Fluoride Treatment is an easy and affordable way to strengthen and protect your teeth. Laser Bacteria Reduction helps keep gum disease from advancing. We stress the importance of finishing your recommended dental treatment. Putting off treatment, even for small dental fillings, allows the decay to spread and become worse. This could eventually lead to infected dental pulp, which would require a more invasive treatment to repair. Any procrastinated dental work could mean a worse dental issue developing. So there you have it. You’re set up for success. You now know that a good at-home oral hygiene routine with the right tools and products will help your smile last. You’re also a little more savvy when it comes to the food and habits that can affect the health of your teeth. And we’re sure a smart cookie like yourself will no longer skip X-rays, miss your visit with the hygienist, or avoid recommended treatment. Are you doing what you should so you can keep your teeth for life? Let us help you! 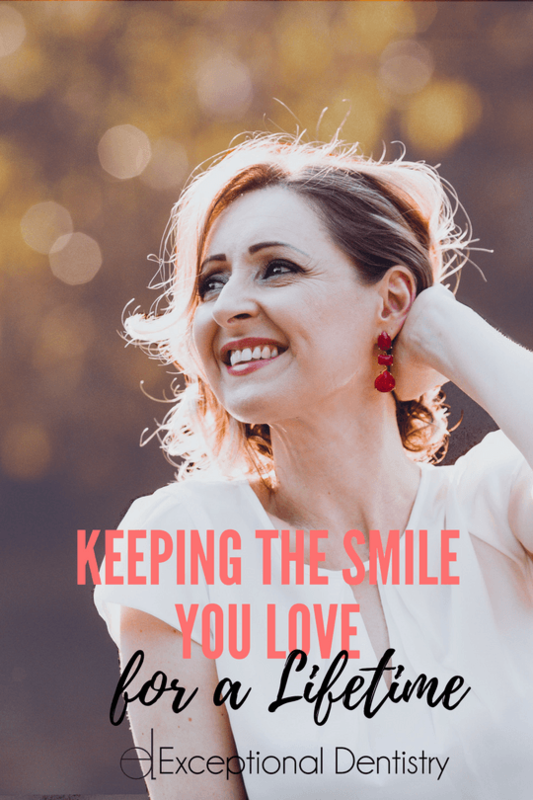 Contact our office at (661) 349-7725 today to learn more about keeping your smile for life and to schedule a visit with our dentist in Palmdale, California.